It looks like there is no place for DailyStormer on the regular web whatsoever. 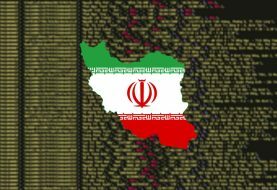 On August 24th (Thursday), DreamHost, a Los Angeles-based web hosting provider and domain name registrar suffered a series of massive distributed denial-of-service (DDoS) attacks affecting its servers causing connectivity issues. 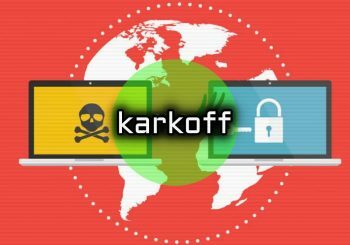 The attack affected company’s customer support, web and email services forcing a number of websites to go offline. 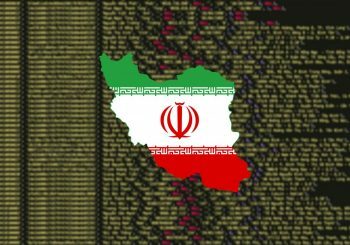 The attacks were directed at DreamHost’s Domain Name Servers (DNS) which is an Internet service that translates domain names into IP addresses since domain names are alphabetic, they’re easier to remember. The hosting giant is home to more than 1,500,000 websites from all over the world including Columbia University and Cambridge Seventh-day Adventist Church. 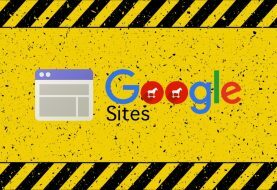 After almost an hour at 7:11 PM, the company revealed that the DNS degradation has been caused as a result of DDoS attacks. “Our engineers have identified the cause of the DNS degradation as a Distributed Denial of Service (DDoS) attack,” the tweet said. 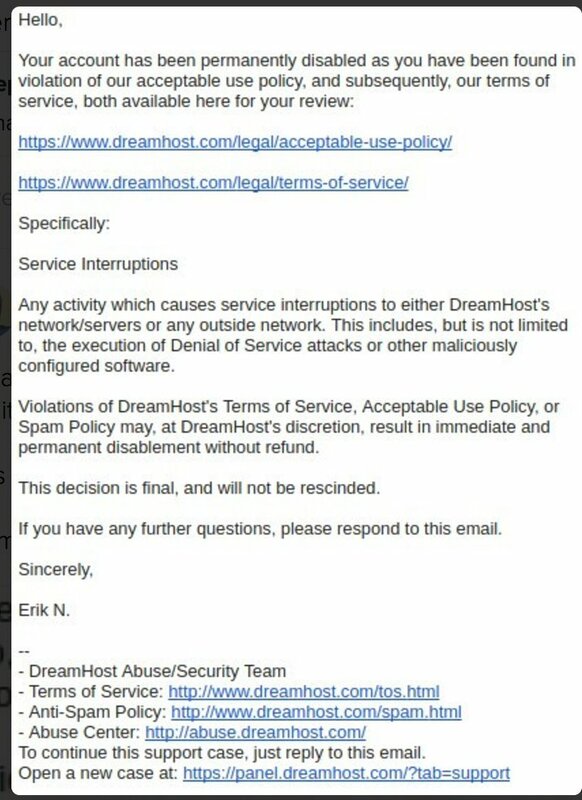 However, after almost 2 hours since DreamHost’s final tweet about the attack; angry customers made sure to give their feedback on Twitter and said that their websites are still suffering the aftermath of the DDoS attacks. Who carried these attacks and why? DreamHost was hosting the domain and this could be the reason for the DDoS attacks on its servers. 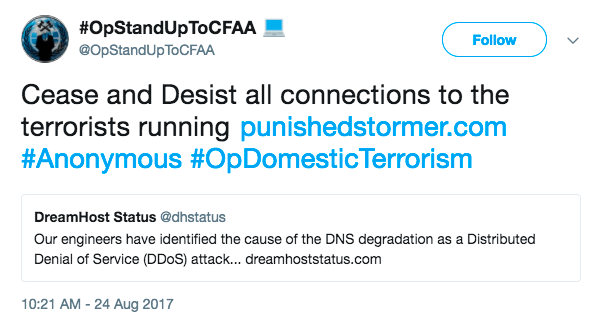 The company’s customers also tweeted that DreamHost should get rid of Punishedstormer as soon as possible. 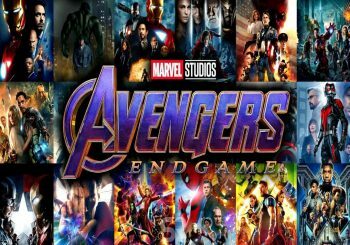 Thats a lie. DDos attacked still has knocked you out. Remove #PunishedStormer hosting. Stop supporting Nazis and White Supremacist websites. Apparently, DreamHost sensed what’s going on and suspended the hosting account for the site. At the time of publishing this article; the new domain was offline. 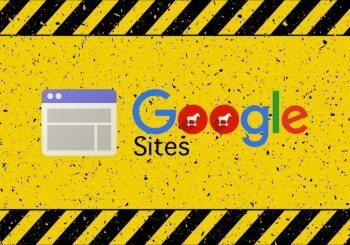 Why did you remove https://t.co/GFQzs4TxNa from your services? Screenshot of the email DreamHost sent to DailyStormer – PunisheDstormer owner Andrew Anglin. It’s unclear who was behind the attack, but @OpStandUpToCFAA tweeted about the event with hashtag Anonymous that indicates the alleged involvement of the hacktivist group. It was just a couple of weeks ago when Anonymous shut down Charlottesville City website against Unite the Right rally. Remember, DreamHost is the same platform which made into the news for hosting a website facilitating protests when US president Donald Trump was being inaugurated. On August 15th, The Department of Justice asked DreamHost to handover IP address of 1.3 million users who visited the website before Trump’s inaugurating. DOJ claims the site planned protests that caused riots in the city, therefore, it has the right to get the IP addresses of 1.3 million visitors. However, DreamHost resisted the demand which forced the department to drop the request but narrowed it down to limited data. More information on the issue is available here. At the time of publishing this article, DreamHost’s services were restored while the Punishedstormer disappeared as quickly as it reappeared.